As hard as it is for me to believe, the Lost Laurel Facebook Page is inching closer to a pretty incredible milestone: 5,000 fans! When I started this thing back in 2011, I honestly thought that maybe a handful of my oldest friends would take an interest—I had no idea this many folks would share my enthusiasm for this kind of hyper-local, hometown nostalgia. That being said, I’m trying to do something special to celebrate. 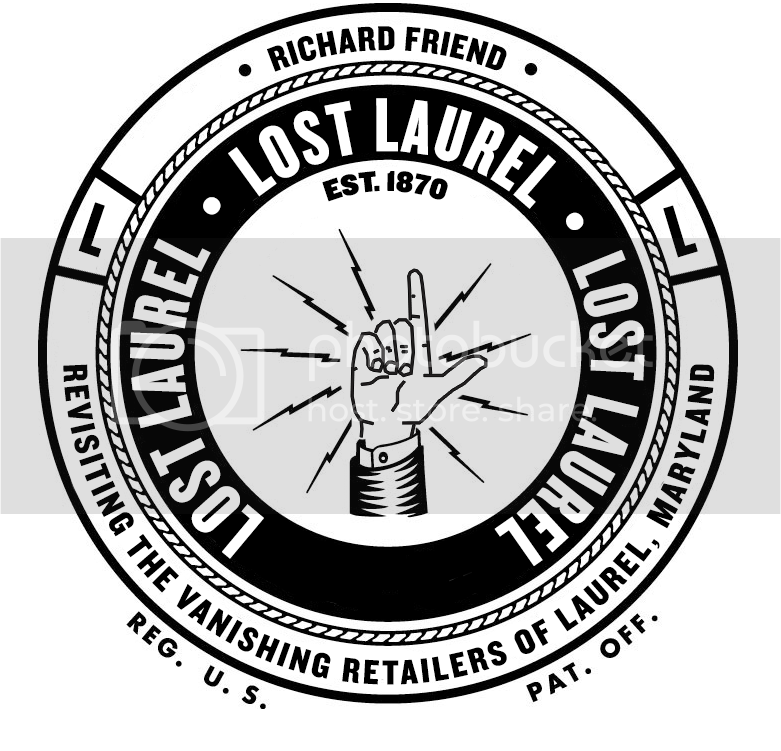 I’ve been asked quite a few times about designing Lost Laurel t-shirts, and I think this is the perfect time to do so. And I’ve finally created one that I think anyone who lived here in the 1980s will especially appreciate. Inspired by one of my favorite places in town growing up, the old Laurel Centre Mall logo perfectly symbolizes what Lost Laurel is all about. What’s more, I’d been thinking long and hard about how so many of Laurel’s places past have faded away without leaving a souvenir, so to speak. 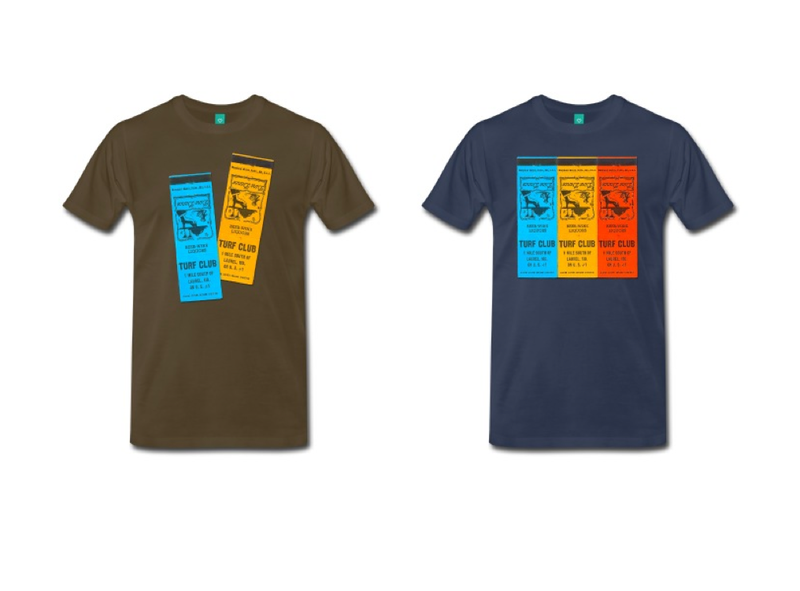 The phrase, “Been there, done that, got the t-shirt” also sparked an idea—if I could go back in time and design t-shirts for the places we once knew and loved, what would they look like? In some cases, certain businesses actually had shirts made for their employees, but most of those have long since disappeared—sadly relegated to thrift stores and used as rags in the years after they’d served their purpose. Those of us who shopped there never had the chance to buy one of our own; and let’s face it—who really would’ve wanted one at the time? But in the decades that have followed, we realize just how strong this nostalgia stuff can be. 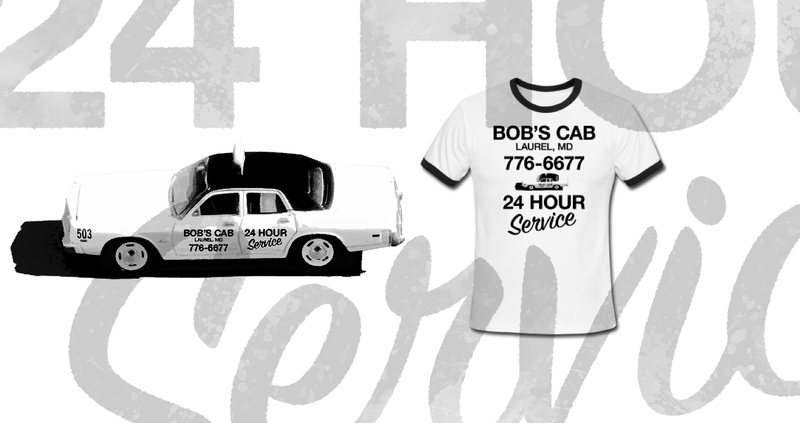 I thought of simple places like Keller’s and Bob’s Cab—places that we took for granted all those years ago… And then I had fun re-imagining what their respective brands might look like today… on a t-shirt. 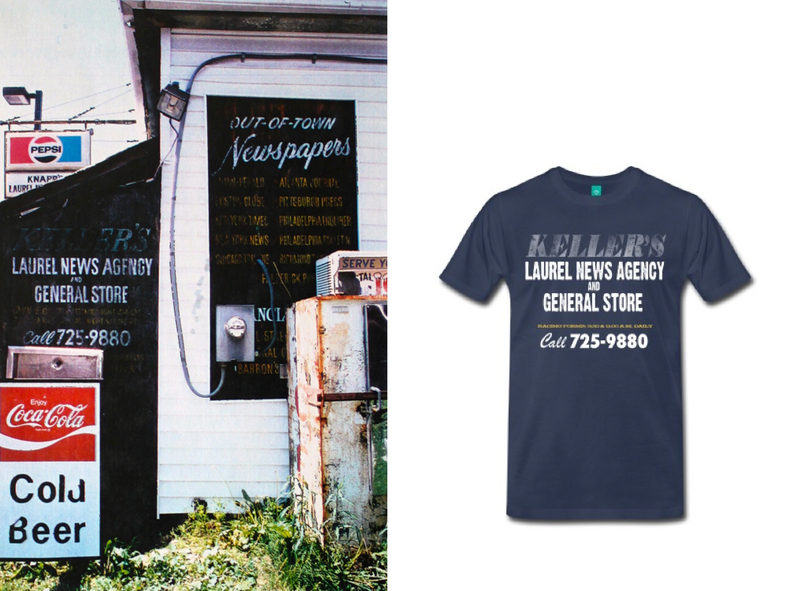 Sometimes all it takes is a hint of familiar typography, or an architectural element from an old sign; and suddenly, you’ve got a t-shirt that visually pays tribute to these beloved, long-lost places past. 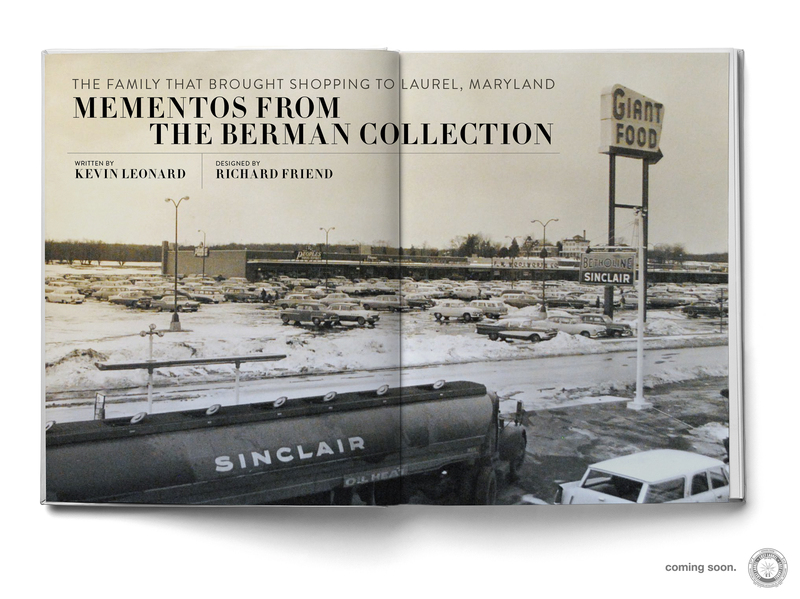 And the idea of seeing them on the streets of Laurel again after all these years is quite a trip. It’s a unique chance to bring back some wonderful memories in a whole new way, and to spread the fun. I do have to point out that I’m not doing this for profit. Nor is there any infringement of trademark rights that were abandoned years ago, had they ever existed at all. None of these shirts are being mass-produced—I’m simply creating new designs and making them available through Spreadshirt.com, where we can order them on-demand. (Yep, I have to pay the same price you do.) Most of the shirts are $20, nearly all of which goes to Spreadshirt for fulfillment. I’ll only receive a small commission for having produced the designs, which will still go a long way in helping support the Lost Laurel project. 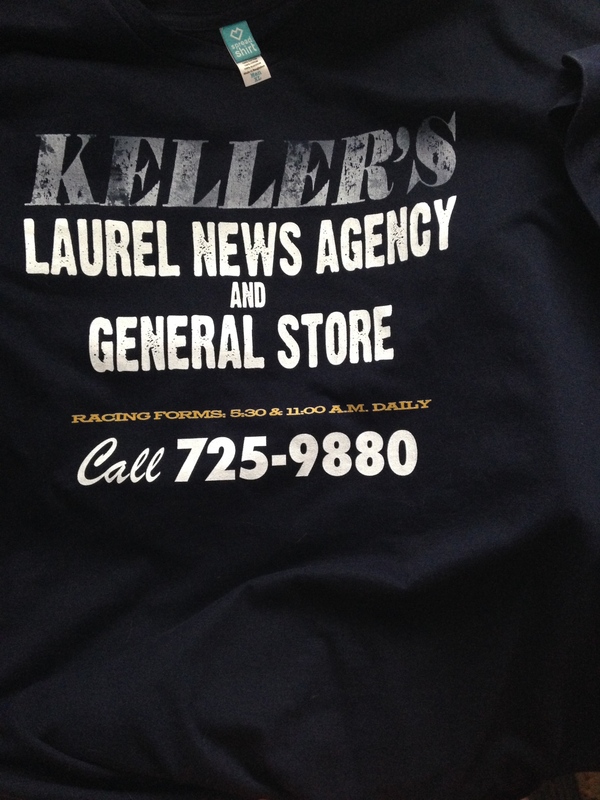 Of course, this is also the perfect opportunity to remake a classic Main Street bootleg shirt from 1993, when it seemed imminent that Jack Kent Cooke was going to build his new stadium right there at the corner of Whiskey Bottom and Brock Bridge Roads in Laurel. (Fortunately for us, the U.S. Patent Office recently cancelled the Washington Redskins’ trademarks, meaning that a “Laurel Redskins” t-shirt no longer even qualifies as “bootleg,” ironically). If you missed your chance to own one 20 years ago, you’re in luck. You can even have it in time for the regular NFL season! … And lots more to come! It’s also that time of year to start thinking about Christmas gifts, and any of these shirts will make awesome stocking-stuffers for the Lost Laurelites on your list. I’ve already bought a few of them myself to make sure the printing quality is good and that they hold up in the wash, and I’m extremely happy with them. Plus, Spreadshirt has a 30-day return policy, should you need it. So, get ready to start sporting your favorite little slice of Lost Laurel like never before! And be sure to take and share photos when you’re wearing them out in the old neighborhood!